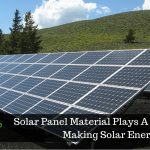 There is a tremendous scope for the growth of the solar power in India and is one of the rich countries being geographically placed and blessed with abundant solar energy. In the current times, it is one of the most efficient renewable energy sources. With the passing of the time, the idea of powering your house with the rooftop solar system is becoming very popular as it is a more natural way of cost savings. However, amidst the consumers, there is lack of awareness about the solar power technology. 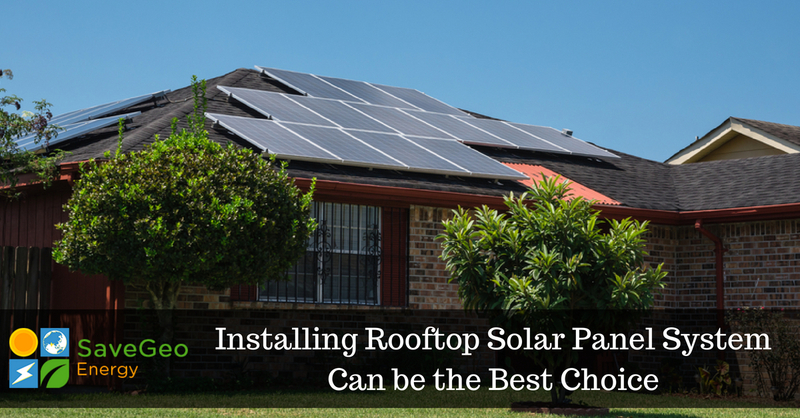 In this piece of article, we will be discussing what you need to know to choose the solar panel system. Do you know solar panels with a 2000 Watts of power can provide around 7000 Watts of power subtracting inefficiencies if charged throughout the day? Solar panels allow you to cherry-pick your choice of outlets which you can customize as per your requirement. About 36 and 72 Solar Cells make up a conventional solar panel which implies 12 and 24 Volts, where an average solar cell provides around 0.5 Volts. You can choose a combination you want to power with one solar panel, for instance, selecting either one set of appliances or the entire house. Before planning to set the solar harnessing, it is imperative to monitor your electricity consumption and opt for genuine suppliers. For instance, 15,000 Watts of power is required on a daily basis in a regular 2/3/BHK household using a microwave. The web portal Bijli Bachao is a source of electricity saving tips for home and offices as it assists the consumer in analyzing the electricity bill. As a result, by knowing the equipment and power used, one can estimate how many panels would meet your total electricity consumption in day-to-day life. It is the key to figure out the amount of rooftop space in your house before installing the solar panels. By analyzing the parameters and requirements of the area will help in deciding how much Rooftop Solar Panel System can get fixed. To absorb a right amount of sunlight throughout the day, it mandatory for solar panels to face southwards. For example, for larger home installations, Solar Panels can usually be availed in standard 250Wp to 300Wp size. Additionally, several moderate to large set-up use multiple 74Wp or 100Wp panels. Most of the time, it depends on the installer, the availability of space and the system design. The solar panel has a lifespan of 25 years and does not require any maintenance as it is not based on electricity or have moving parts. The only requirement is to get it washed once every 15-20 days with a cloth. It is advisable to pick up reliable equipment from genuinely certified suppliers while purchasing the solar panel. 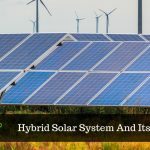 It is preferred to opt for a solar setup that is secured under a warranty period and ask for a certificate to safeguard remaining assured in case of malfunctioning. Depending on the state tariff the payback period of solar rooftop system is 3 to 5 years. Apart from an understanding of your power consumption pattern, you will require few things like inverters or UPS, solar panels, wiring, charge controller to convert DC into AC and battery to move to Solar. The rooftop solar panel cost mainly depends on the quality. Illustrating the quality of solar panel, a good quality rooftop panel of 1 kWh will cost around INR 75000 to INR 1 lakh. However, the installation and the cost of a Solar Panel may vary between INR 40,000 and INR 6 lakh. Hence, the requirement of many panels will depend on the number of units of power consumed daily. The Rooftop Solar Power plants can be broadly categorized into Battery and Non-Battery based systems. Lastly, to prevent a small issue mushrooming into an expensive problem in the future, it is recommended to inspect the panels on a regular basis. 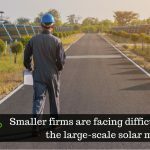 Solar panels can assist consumers in decreasing extra expenditure and increase savings with a correct implementation, along with timely maintenance. SaveGeo who provide efficient, state-of-the-art Rooftop Solar Solutions to help organizations and homeowners reduce their carbon footprint in a cost-effective and eco-friendly manner.